Professor Robin McInnes is a Visiting Professor for Geography and Environmental Science at the University of Southampton. Robin McInnes is a chartered geologist and civil engineer with over 45 years of experience in integrated coastal zone management and landslide management at international, national and local government levels. He read Geology at the University of Southampton and completed a PhD in Coastal Zone Management at the University of Portsmouth. After working for local authorities in Hampshire and the Isle of Wight for thirty-five years he established his consultancy ‘Coastal & Geotechnical Services’ in 2007. Professor McInnes has advised the United Nations, the Council of Europe and the European Commission (DGs Environment and Research) on issues relating to natural hazards. He has developed and led successfully thirteen EU projects funded by LIFE Environment, Interreg and the VIth and VIIth Framework Programmes. He was an invited Expert Attendee at the Global Oceans, Coasts and Islands Forum at the Copenhagen Climate Change Summit in 2009 and joint organizer and session chairman at the UNESCO Global Coasts Conference in Paris 2010. In December 2007 he was awarded the Crown Estate – Caird (National Maritime Museum) Research Fellowship. 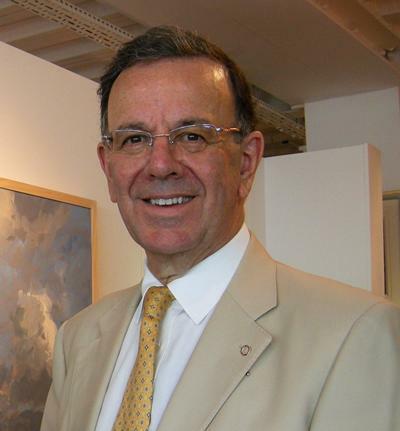 He was appointed Visiting Professor to Civil Engineering & Environment at the University of Southampton in 2010-2014. From 1995-2009 Professor McInnes was Technical Chairman of the Standing Conference of Problems with the Coastline (SCOPAC) and he chaired the Coastal Groups of England and Wales from 1997-2009. In 2006 he was appointed OBE for ‘Services to Flood and Coastal Defence’. Robin McInnes has a particular interest in coastal risk management and landslide management and he has written numerous technical papers as well as non-technical guidance on coastal and geotechnical issues. He arranged an ‘International Conference on Slope Stability’ on the Isle of Wight in 1991, which was co-sponsored by the Institution of Civil Engineers. He was Chairman of the Organising Committee for the International Conference on ‘Instability - Planning and Management’ held at Ventnor, IW in May 2002 and was Chairman of the Organising Committees for the Institution of Civil Engineers’ ‘International Coastal Management Conferences’ in 2003 and 2007. In 2007 he also chaired the Organising Committee for the International Conference on ‘Climate Change and Landslides’ held at Ventnor, IW. May 2007. He continues to write about and advise clients on such problems. Since 2008 Professor McInnes has undertaken a range of research projects for The Crown Estate, the European Commission and Historic England that have bridged the disciplines of art and science by examining how historical images (paintings, prints and old photographs) dating back to the late eighteenth century can improve the understanding and management of risks to coasts and coastal heritage sites.